Daniel Ellsberg is perhaps the premier whistleblower of all time, the man who in 1971 dragged the Pentagon Papers out of top-secret darkness into the light. Yet even as excerpts from the papers’ 7,000 pages were being published by The New York Times, The Washington Post, and other newspapers, Ellsberg was sitting on an entire second set of secrets, having nothing to do with Vietnam: all his material on nuclear policy, such as the operational plans for general nuclear war that he had drafted for the Joint Chiefs of Staff in his job as a RAND Corporation defense analyst. With the Vietnam War raging, Ellsberg made what he calls a “tactical judgment” to release those papers first, holding off on the nuclear material until the fallout (so to speak) from the Vietnam revelations had settled. As he faced trial, he entrusted the nuclear papers to his brother Harry, who hid the cache in a compost heap and later moved it to the local dump to evade FBI searches. But the papers were irrevocably lost when the dump was later ravaged by a tropical storm. From the beginning of the Atomic Age, says Ellsberg, the true purpose of our nuclear arsenal, the whole terrifying array of warheads and delivery systems in all their vast numbers and varieties, has not been the “defense” of our country. It has not been, as trumpeted by politicians and generals (and as believed by citizens and schoolchildren), to “deter” an adversary from launching a nuclear attack against the U.S. It is the maintenance of a first-strike nuclear force—not so much for the purpose of launching a deliberate surprise attack on anyone else, but to be ready to respond instantly to any threat with a preemptive strike that would cripple an adversary’s assault and forestall damage to the U.S. That policy not only explains the need for an arsenal of thousands of diverse nuclear weapons, but also why every president since Truman, including Obama (and of course Trump), has steadfastly refused any official declaration of “no first use” of nukes by the United States. In fact, Ellsberg reveals, despite the endless rhetoric about American values and dedication to peaceful humanistic ideals, the possibility of the United States being the first to use nuclear weapons since Nagasaki has never been off the table. Ellsberg observes that despite all the near-misses and crises, much has been made of the canard that no nuclear weapons have been used since 1945, encouraging a belief in some sort of magical “nuclear taboo” that’s saved us up till now and will continue to do so. He answers Donald Trump’s infamous question “If we have them, why can’t we use them?” with the stark rejoinder that we do and have used nukes many times since Nagasaki. U.S. presidents, says Ellsberg, “have used them in the precise way that a gun is used when it is pointed at someone in a confrontation, whether or not the trigger is pulled. To get one’s way without pulling the trigger is a major purpose for owning the gun.” And he provides a list of 25 specific examples in which a president did just that. Nuclear war is not only not “unthinkable,” it has been a reliable tool of U.S. diplomacy since World War II. The book is divided into two parts, the first a memoir/confession, similar to Ellsberg’s 2002 book “Secrets: A Memoir of Vietnam and the Pentagon Papers,” chronicling his own intellectual and moral evolution from dedicated Cold Warrior to whistleblower, as he discovers one disturbing fact after another: that, contrary to public belief and stated practices, the authority to use nuclear weapons does not rest solely with the president; that the entire apparatus of atomic Armageddon rests on a far more precarious hair trigger than advertised, vulnerable to accident or miscalculation, as has nearly happened on many occasions; and that the nuclear crises of the Cold War, particularly the Cuban missile crisis, came even closer to catastrophe than generally known. 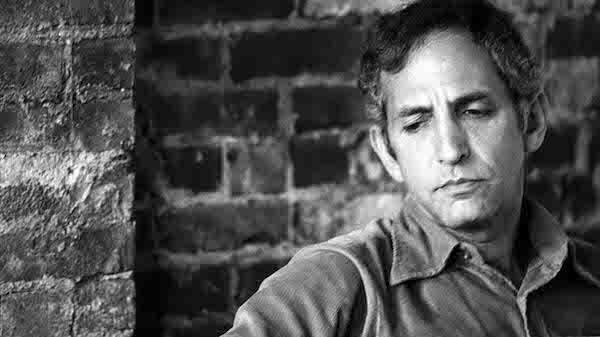 From a strictly biographical perspective, the story makes clear Ellsberg’s motivations for leaking the Pentagon Papers: the burning desire to do something, anything, to alter and perhaps reverse what he considered to be a disastrous path for his country. In the second part, Ellsberg steps back a bit to adopt a somewhat more academic perspective, drawing on his experiences at RAND and the Pentagon. It’s here that we get a good taste of the analytical talents he employed throughout his career in the halls of official secrecy, as he considers such matters as how the principles of “just war” policy were corrupted to allow for the mass bombings of civilians and then extended into nuclear policy; the distorted rationale for the hydrogen bomb; the little-known fact that some Manhattan Project scientists feared the atomic bomb might actually ignite the Earth’s atmosphere and destroy all life; and the certainty of devastating climatic change—a “nuclear winter” or “nuclear autumn”—awaiting as a consequence of even a limited nuclear exchange. It’s that prospect that gives the book its provocative title. While Ellsberg examines in detail the ideas and proposals for an actual Strangelovian “doomsday machine” as originally conceived by the RAND physicist Herman Kahn in 1960, he notes that the construction of any such device would be ultimately redundant. We already have a doomsday machine, and we’ve been living with it since at least the 1950s. And it’s not Russian or Chinese or Iranian or North Korean. It’s all-American, contained in the heart of all the combined warheads invented and constructed and deployed by the United States since 1945, all the weapons sleeping in silos and submarines and the bellies of aircraft, all the weapons supposedly protecting us and guaranteeing us safety from attack. Without any contributions from anyone else, the arsenal of the United States, now and for decades, has been more than sufficient to induce a nuclear winter on its own. Ellsberg harbors no illusions that “The Doomsday Machine” is going to change the mind of anyone in Congress, the Pentagon, or the White House. But by bringing these secrets to light, he hopes to inspire American citizens to bring a new level of pressure to bear on the powers that be, just as the Pentagon Papers did four decades ago. One can only hope Daniel Ellsberg’s singular combination of moral credibility and personal knowledge will work its magic one more time to forestall an even greater tragedy than the Vietnam War.